Join their Nut-E Club and receive the latest and greatest Logan's has to offer directly to your inbox as well as a coupon for $5 off $20 purchase. Visist Logan's roadhouse today and get 25% off. Purchase one entree and receive a second one of equal or lesser value free. Valid at participating Logan's Roadhouse restaurants. 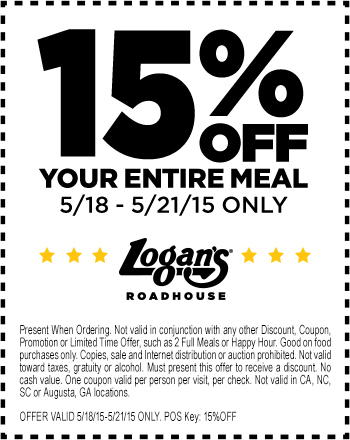 Print coupon for a 15% discount on your entire food purchase at participating Logan's Roadhouse locations. Not valid in CA, NC, SC or Augusta, GA locations. 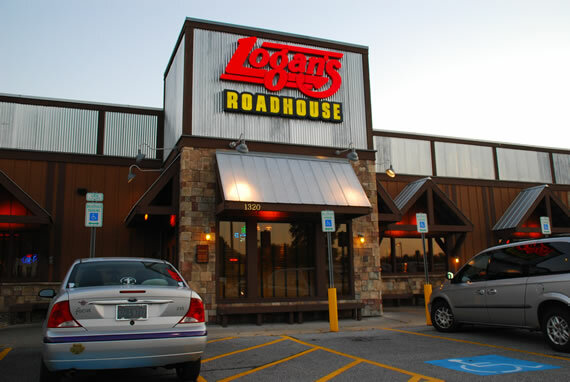 Logan's roadhouse restaurants are known for great flame-grilled steaks, ice-cold longnecks, chicken, seafood, and burgers.